Raven Familiar is a 2 Mana Cost Common Mage Minion Beast card from the Kobolds and Catacombs set! Rating: 3.8/5. From 1621 votes. If we reprint Joust as a mechanic on multiple cards we would keyword it so that we can add that you win ties. If we don’t keyword it then adding the extra words is not quite worth it. In this case you can really build around this card and make sure you win if you want or you can risk it and play some expensive spells and just a couple frost bolts for early game. Important bonus info: This card needs the rest of the set revealed before it can be correctly evaluated. So… Joust is back! Or is it? Although traditionally it reveals and compares minions, it was never an officially keyworded ability, so we can’t say with certainty that this isn’t Joust. Or Spell Joust. Or simply conditional card draw for Mage (that should totally be a keyword someday). Let’s face it, Mages play tons of expensive spells, and even if only Pyroblast costs 10 mana, they are still more expensive than the spells other classes typically play (Druid says hello). 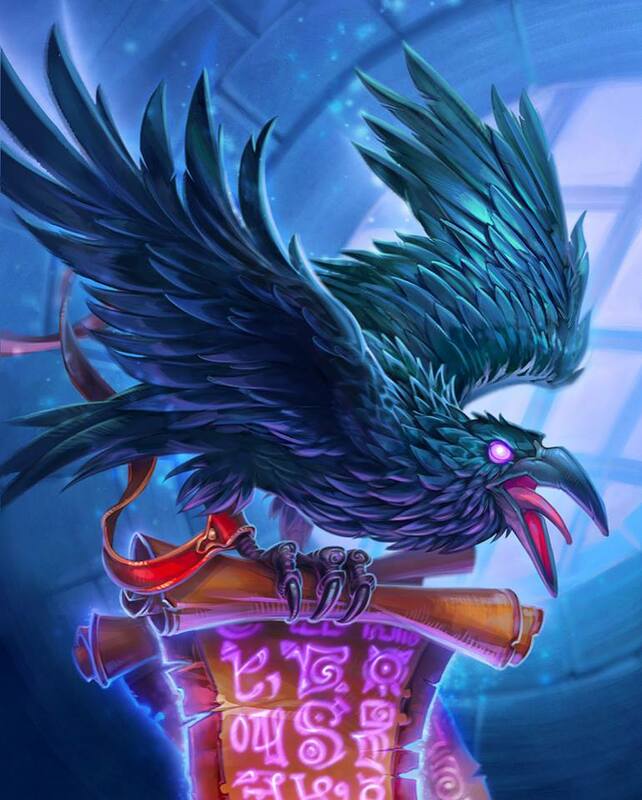 Your Firelands Portals, Flamestrikes and Blizzards are excellent targets for the Raven Familiar and they are commonly found in most Mage decks. 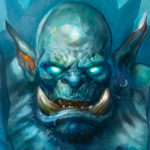 That being said, it’s also equally unlikely to imagine a Mage deck without some of the class’ most iconic tools – Frostbolt, Arcane Intellect, Ice Block, etc. Simply put, these cards are way too good not to play and although there may be an aggressive Burn Mage that doesn’t play the Flamestrikes of the world, there won’t be a Mage deck that doesn’t play Frostbolt. 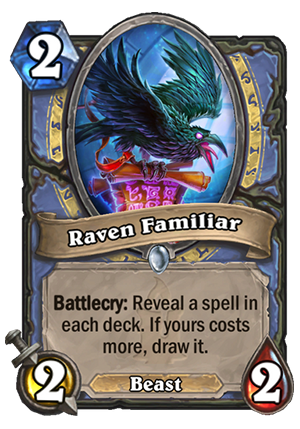 In other words, when you are playing Raven Familiar, unless you build your deck in a very specific (and often times sub optimal) way, you cannot guarantee that its effect will activate successfully and get your that Pyroblast. 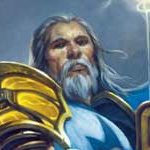 It’s not strictly clear whether or not decks will want this gamble, because card draw is really sought after by Mages. This card appears to be overshadowed by Arcanologist, which guarantees the draw and has a better stat line. Or it could be the case that there are way more big spells than small ones in the Mage deck and it’s a calculated risk that will pay off more times than it won’t. One of the best cards for hunter 5/5. U can playa ara turn 1 get this 2/2 and maybe draw a card. Well hello Joust, I didn’t expect to see you again after both you and Inspire died the in train wreck/dumpster fire that was The Grand Tournament. Remember how King’s Elekk was one of the only (if not the only) good joust card? Because this is basically King’s Elekk, but for spells, and in the most spell advantaged class running around. The only thing that really keeps this card from being just outright bonkers nuts on a stick is that Ultimate Infestation is running around. 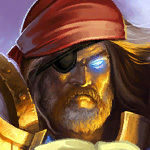 But this is still insanely good and I expect to see plenty of mages running this. In Arena I think this card is still really good, especially because of spell scarcity. 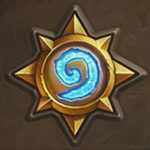 Generally mages get more spells and more expensive spells than any other class in the game in Arena, so this will go off a lot and get you your important game breaking spells. In a mage deck with an early game focused on minion cards to stabilize, big spells like firelands portal, and cards to make use of that like medivh and the new 6 drop that reveals a card to summon a random equal cost dude, this could be a reliable draw that could be played early or late in the game. Not sure if that deck is good, but worth trying. Otherwise this is a lower Stat kings elekk that at leaSt probably thins your deck of cards you don’t want to top deck against aggro, probably won’t net you frostbolt. Dunno, the deck you are thinking of is an arena deck without frostbolts, arcane intellect, secrets of any kind, primordial gliph (fireballs? )…….and as only spells firelands portal, flamestrike etc? If you have to fight the board in the early game, you have to set the deck as aggro, which is in contrast with high cost spells and late game threats…..
Is this the first beast mage card? An excuse to run 2 Call of the Wild’s with Deathstalker Rexxar? So this is a King’s elekk but for spells? First of all King’s elekk has a better body and mage already have better card draw like Arcanologist or Arcane intellect. Too much RNG involved, bad card. The card is probably good. Equal if not better version of Kings Ellik. Might see some play in the right mage deck. Not sure if it would be something included in control mage but possibly in a new tempo deck. Could be better in the next standard rotation. King’s elekk has a better body, not good trust me. Card is good if and only if Meta is dominated by Minion heavy decks such as Keleseth Rogue and Zoolock.